158. LM-2C Launch Vehicle, specification sheet distributed by China Great Wall Industry Corp., 1992. 159. Zhao Bing, "A System Analysis of the Launch Vehicle Technology in China", Paper 92-824, 43rd Congress of the International Astronautical Federation, August-September 1992. 160. China In Space, China Great Wall Industry Corp., 1988. 161. Space in China. Launch Services and Space Technology, China Great Wall Industry Corp., 1989. 162. Xu Jian, Progress in Carrier Rocket Technology", Beijing Review, 3-9 September 1990, pp. 27-30. 163. G. Pike, "Chinese Launch Services, A User's Guide", Space Policy, May 1991, pp.103-115. 164. Long March Launch System, Ministry of Astronautics, 1985. 165. P. S. Clark, Chinese Launch Vehicles - Chang Zheng 2", Jane's Intelligence Review, May 1992, pp.231-234. 166. P. S. Clark, "Chinese Launch Vehicles - The Rest of the Story", Jane's Intelligence Review, October 1990, pp. 469-473. 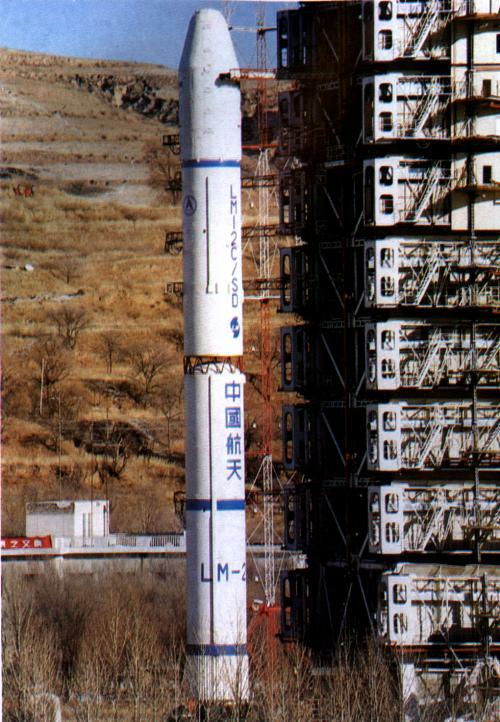 Another variant of the Chinese CZ-2C launch vehicle was revealed in May 2001 when it was announced that the Double Star and KOMPSAT-2 satellites would be launched by a CZ-2C with a CTS upper stage. This was apparently a further development of the CZ-2C/SD that was adapter to the top of the second stage cone shaped adapter mounting. The CTS third stage was a three-axis stabilized upper stage consisting of a spacecraft adapter, a structural ring with cross struts payload supports with instrumentation platform areas and an Orbital Maneuver System. The primary propulsion system solid motor of the CTS dispenser stage makes it capable of putting 1,400 kg of payload into a 900 km sun-synchronous orbit. The first launch of this booster configuration took place on December 29, 2003 and was followed with its second flight on July 25, 2004 . 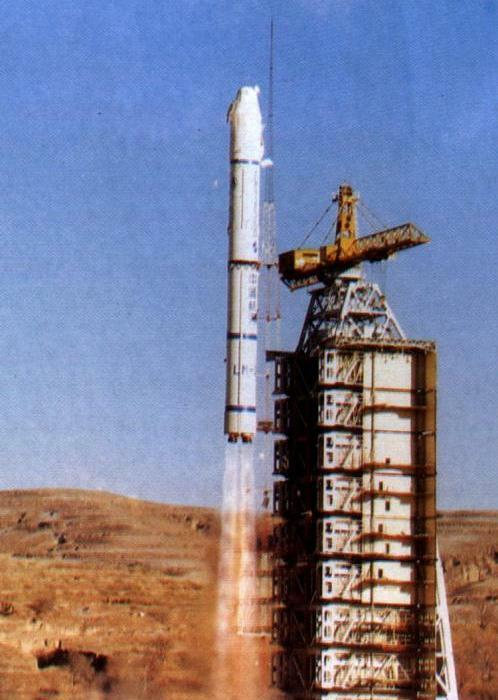 No further launches of this booster configuration have been identified unless PRC Chinese authorities have changed the launch vehicles designation. Both demonstrated a 100% success rate. One was launched from the Xichang (XSLC) and the other was launched from the Taiyuan (TSLC) Satellite Launch Centers infrastructure. The CZ-2C is derived from the CSS-4 ballistic missile and consists of two stages.